What better way to follow a juice cleanse post, than with a restaurant review? 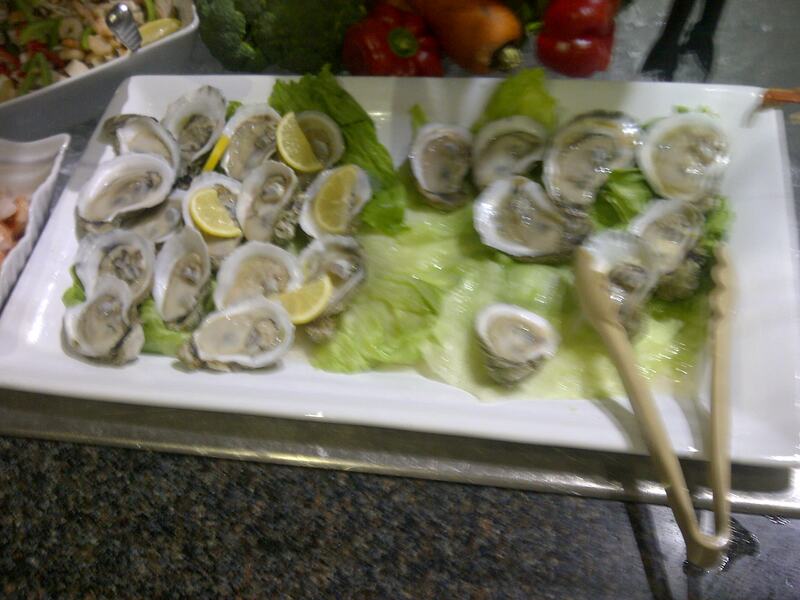 In the summer, I shared a review of the Sunday brunch at Tour de Ville restaurant in the Delta Centreville hotel in Montreal. I mentioned that my family and I tried that brunch because we were fans of the Sunday brunch at the Delta here in Toronto. I recently paid that delicious brunch a visit, and thought I’d share! As far as I’m concerned, this brunch buffet is a hidden gem in the East end of the city. It is never overly busy, a perfect start to a lazy Sunday. Whiteside’s Terrace Grille is the name of the restaurant in the Delta that hosts this amazing brunch. 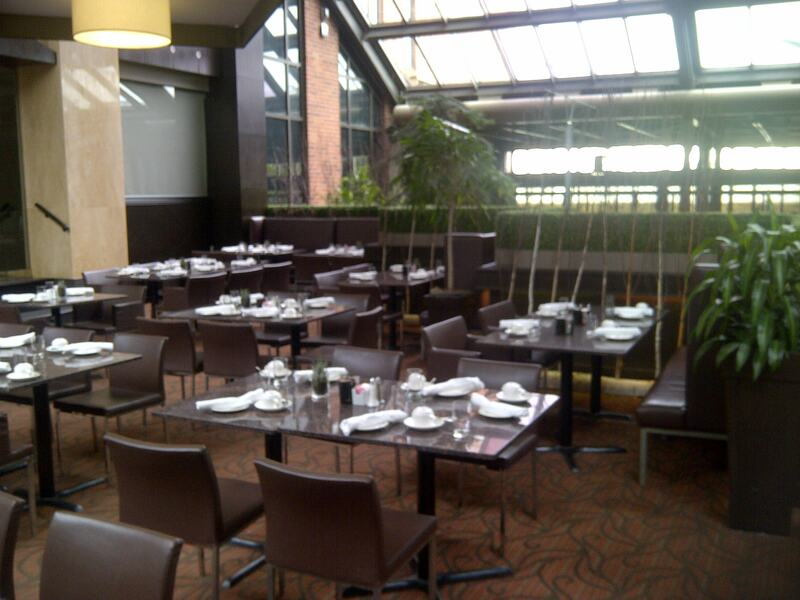 It is an open, airy, bright space that is located on the main floor of the hotel. The staff at Whiteside’s Terrace are always welcoming, efficient and friendly. We are always seated promptly and coffee and juice is always offered immediately. Since I have been going there for many years with my family, we have gotten to know one of the servers, Lily. She is very friendly and we were pleased to be seated in her section on this visit. Oh, this is always my favourite part. Now, I’m going to assume that you have been reading TNL for a while now, k? (If you haven’t, what are you waiting for?!) SO, you probably know what my criteria for a fabulous brunch is. Say it with me, why don’t you…. Actually that is pretty much what all my plates looked like. The lobster is tasty and meaty, crab was deliciously brackish, and oysters were fresh and perfect with a bit of lemon and hot sauce. They also had shrimp and sushi with their seafood offerings. I suppose you probably want to know what else the buffet offers, huh? I guess I’ll tell you but really, do you really need to see more than all of that wonderful seafood? 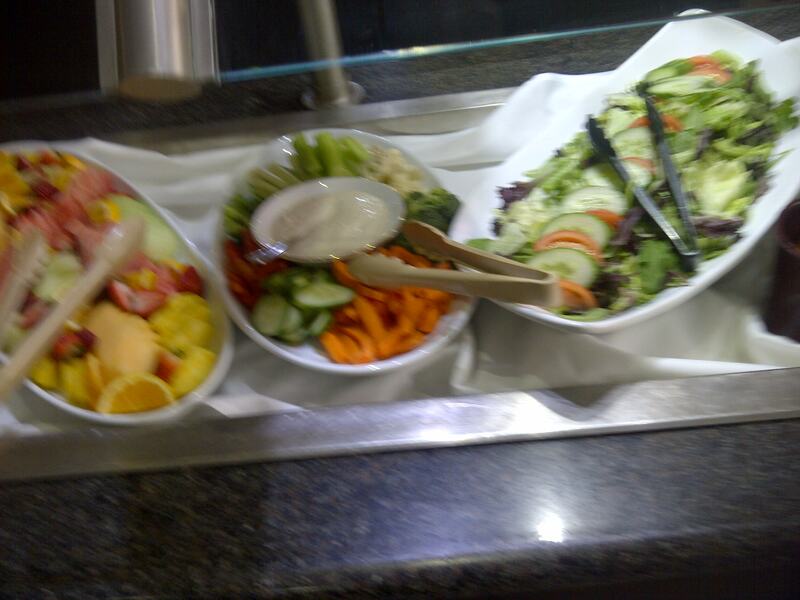 For starters, there are fresh veggies, and salads available. 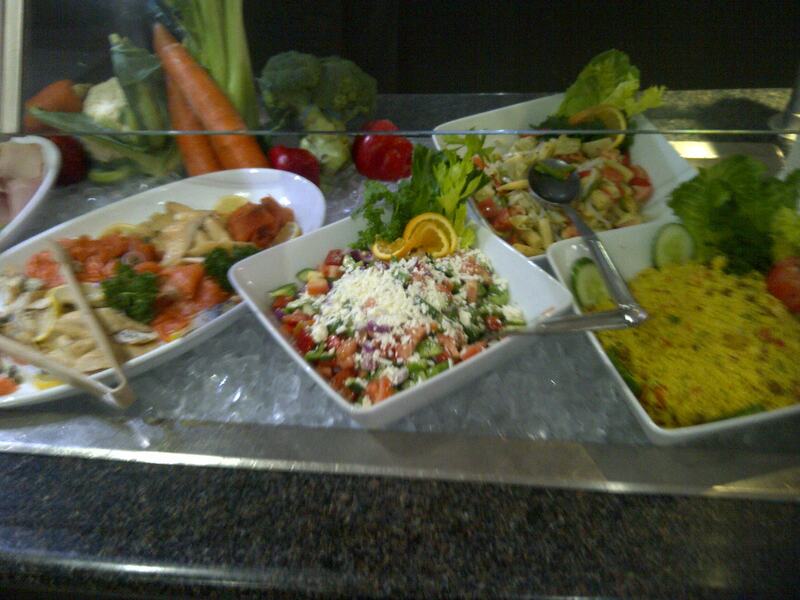 These include greek salad, pasta salad and couscous. There is also a platter of various cheeses and smoked meats. 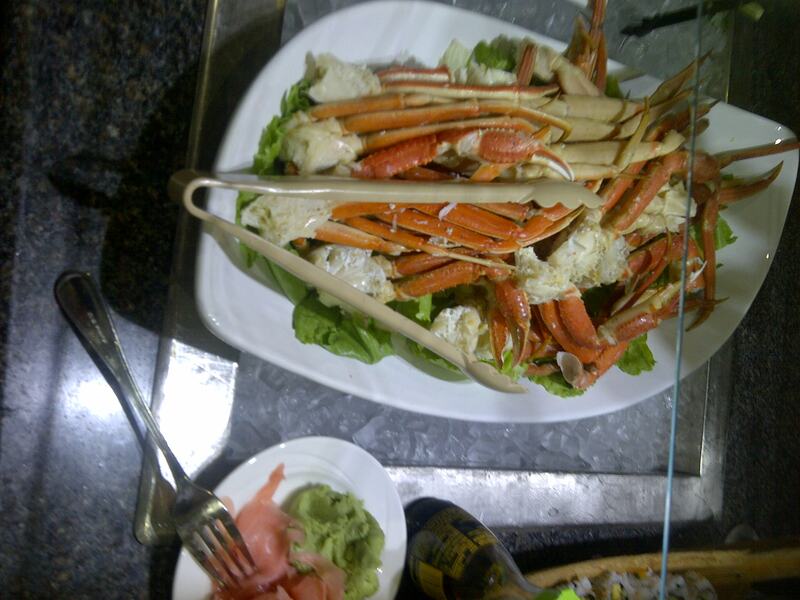 The buffet also offers a number of savoury dishes that differ from week to week. On this particular day, they had whitefish, pasta , jerk chicken and roast beef. Craving classic breakfast fare? They’ve got lots of that too. 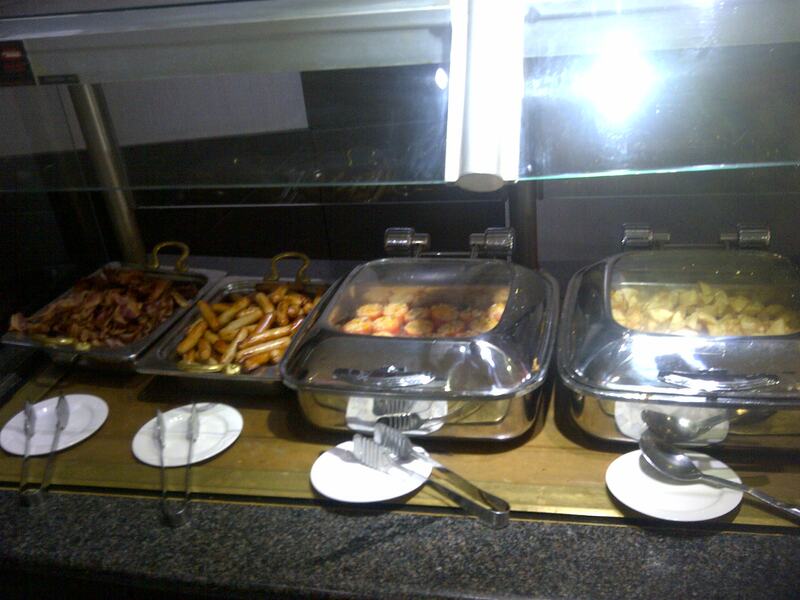 Eggs are made to order , and pancakes, french toast, bacon, sausages and breakfast potatoes are at the ready. Sunday brunch at Whiteside’s Terrace Grille is $36.95. I think this is a great price, considering you can feast on all-you-can-eat lobster, crab and oysters. Oh, yeah…and that other stuff too. But really, a seafood dinner will set you back at least $30 and that’s just a regular a la carte meal where you probably aren’t even getting much seafood. 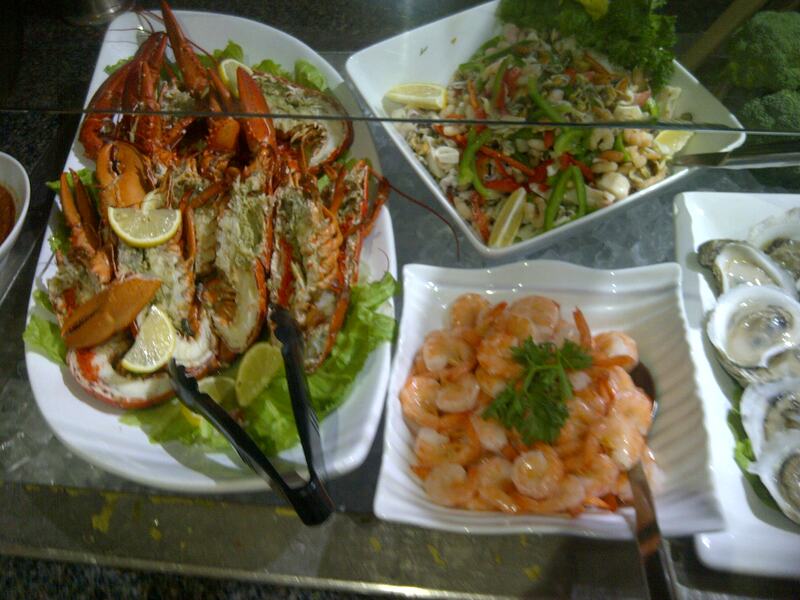 And this isn’t just for seafood lovers, there is a great deal of variety available including fish, chicken and roast beef. 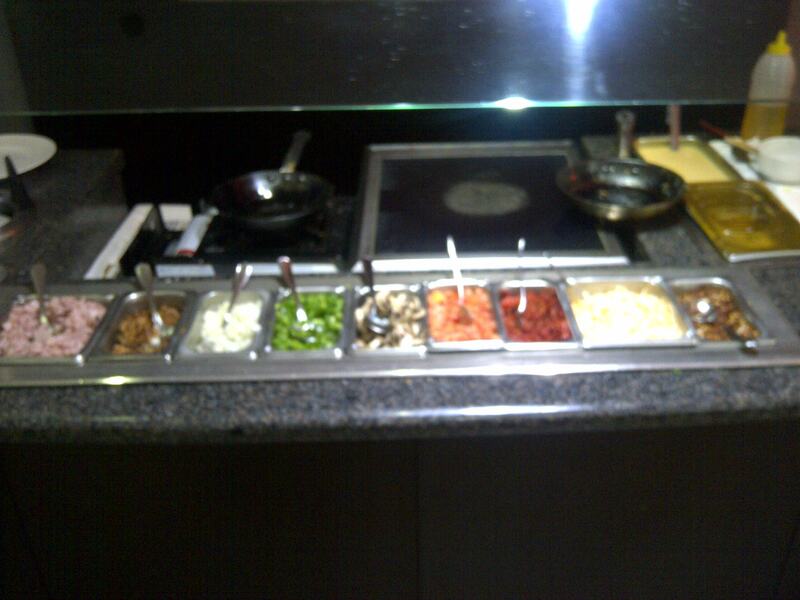 The dishes are clearly crested with care and fresh tasty ingredients. 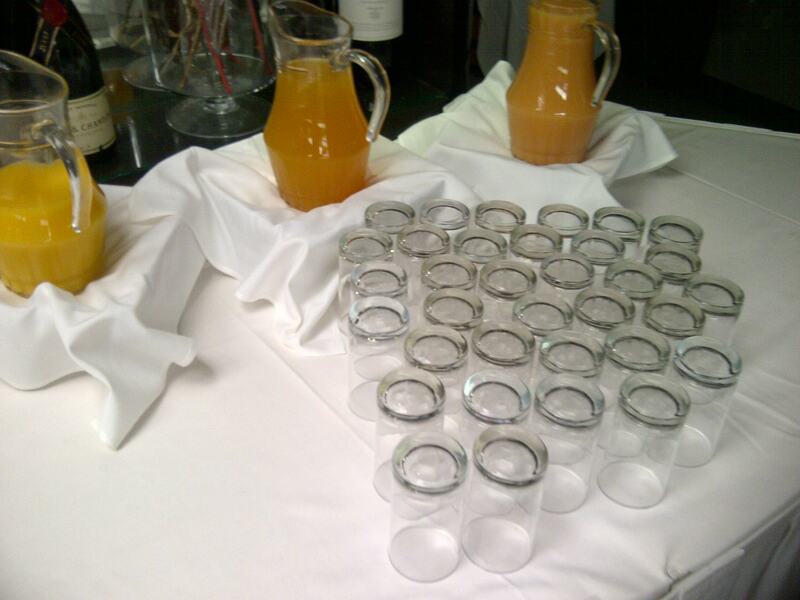 The brunch also includes unlimited coffee, tea and fresh juices. My experience is always extremely positive at Whiteside’s Terrace for brunch. 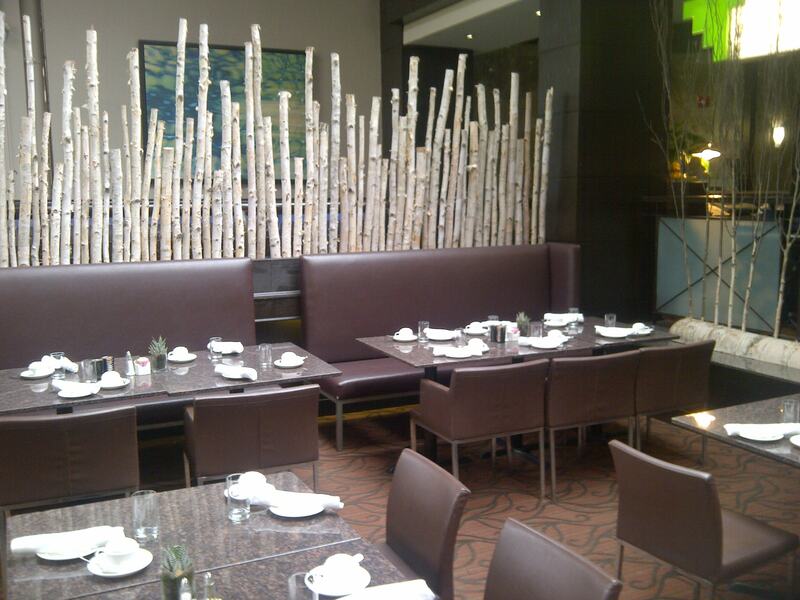 The food, service and ambiance make for a great start to any Sunday. If you have been to Whiteside’s Terrace for Sunday Brunch or have another great brunching spot, please do share! 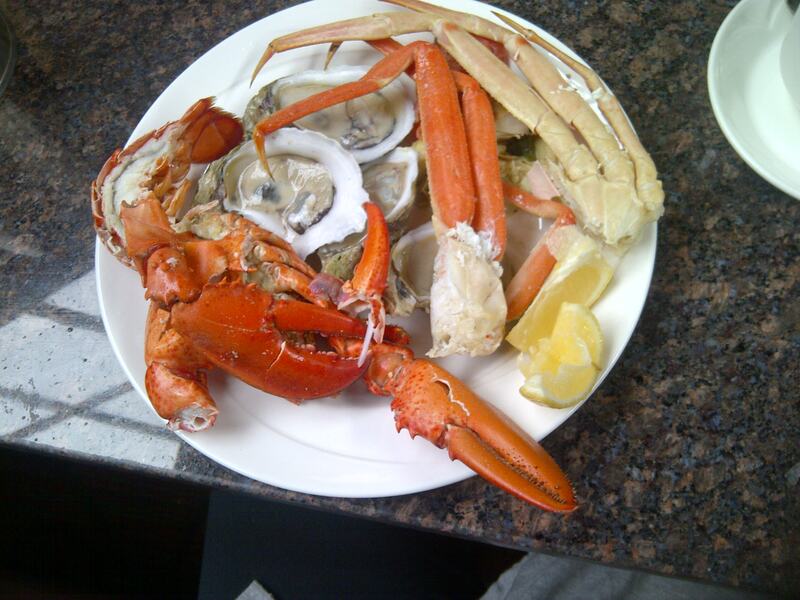 Or, you know…if you’re looking for someone to chomp seafood with you on a Sunday…I’m your gal! Thanks for the great review Ash! I would like to try this brunch BUT i am highly allergic to seafood, do you think it would be a good place for me to still try? In all honesty, there are lots of other choices ( most of them neglected by me..ha!). They always have five or six savoury dishes like pasta, chicken, lamb and fish. Also breakfast favourites…and I love me some bacon! Thanks for reading and commenting, Carla! I am such a sucker for seafood so as soon as I see it I’m game! This place looks really nice and open; I love natural light when dining it almost feels like the outdoors!! 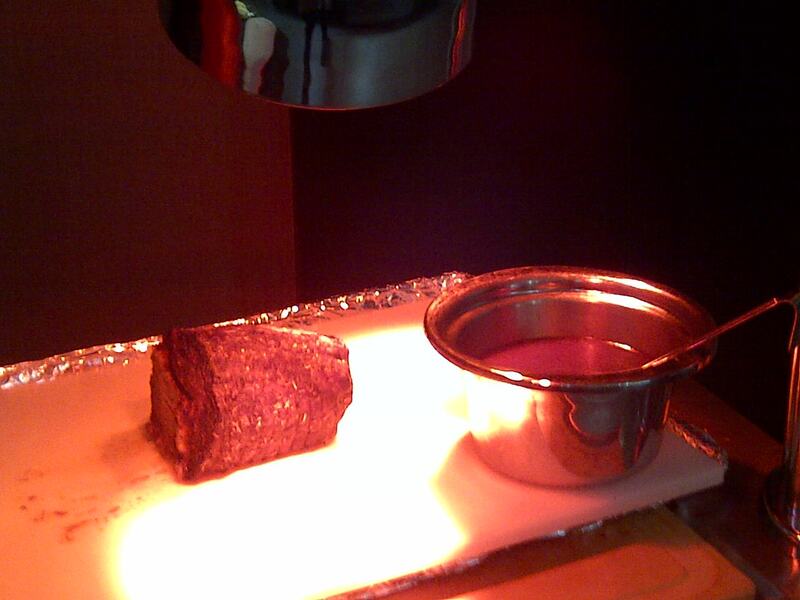 Decor and lighting make such a big time difference to a restaurant experience!